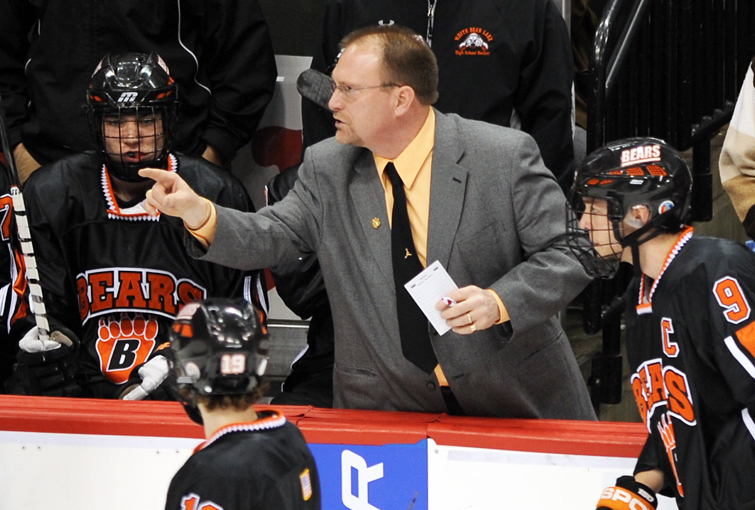 The Minnesota Hockey Coaches Association announced its section and state coaches of the year for the 2010-11 season. White Bear Lake coach Tim Sager was named the recipient of the John Mariucci Award -- state coach of the year award -- for Class 2A. The Bears advanced to the state tournament for the first time since 2005 after upsetting top-ranked Hill-Murray in the Section 4AA championship game. White Bear Lake finished with a 22-7-2 record and won the Suburban East Conference title. The John Mariucci Award for Class 1A was given to Hibbing/Chisholm coach Mark DeCenzo and Hermantown coach Bruce Plante. Hibbing/Chisholm reached the state tournament for the first time in six years, finishing fourth. 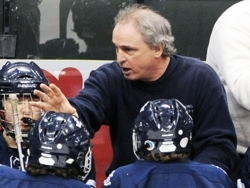 DeCenzo led the Bluejackets to a 18-11-2 overall record. For the second time in as many years Hermantown found itself in the Class 1A championship game, however the Hawks failed again to earn the title -- this year falling to St. Thomas Academy 5-4 in overtime. The Hawks finished with a 25-4-2 record. Craig Peterson (Hermantown/Class 1A) and Chris Anderson (White Bear Lake/Class 2A) were named the assistant coach of the year in their respective class. Team academic championships were also announced. Litchfield-Dassel-Cokato earned its second consecutive Class 1A academic state championship with a 3.70 grade point average. Eden Prairie was awarded the Class 2A academic state championship posting a 3.86 grade point average. The award is Eden Prairie’s third straight Class 2A academic title in as many years and the Eagles have won the Class 2A state championship in two of those three years. Eden Prairie was also the only team in the state to be awarded a Gold honor for academics (GPA above 3.75). To see the MHCA official press release, download the PDF file below. 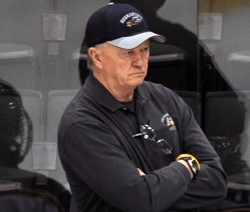 Since 1983 this award has been given to the high school coach of the year as selected by the state's hockey coaches. This award is given in memory of the great John Mariucci, who was a legend in Minnesota hockey and one of Minnesota's great sports figures. A native of Eveleth, Mariucci played for the Chicago Blackhawks at a time when few Americans were able to play in the National Hockey League. Mariucci later coached the University of Minnesota hockey team, and the arena on the university campus bears his name. John was a lifelong promoter and supporter of the Minnesota hockey player and remained so until his death in 1987. Winners of this award are listed in the U.S. Hockey Hall of Fame.